The Washington Youth Garden and John Burroughs Education Campus gathered last Thursday to celebrate the Fall Harvest and School Garden Week. Students, parents and teachers enjoyed the afternoon sun in the garden while participating in garden activities and a mixer hosted by the PTA. 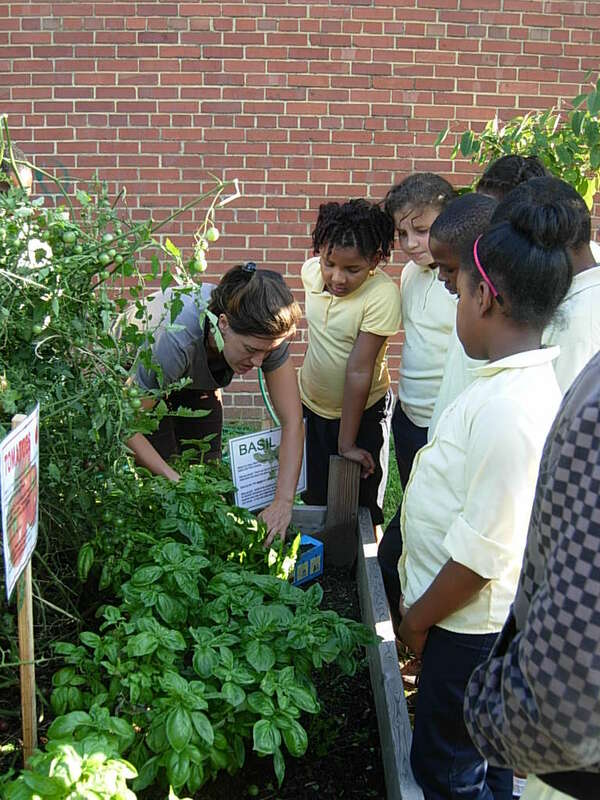 Activities included harvesting (and munching on) green beans, tasting pesto, harvesting fresh basil to make pest at home, planting seeds to take home, replanting lettuce in the garden, and creating visions of the ideal school garden. The Washington Youth Garden would like to extend a special thanks to Principle Weston, Mel Jones, the John Burroughs PTA, and Afterschool Staff for helping to put on this wonderful event. Additional thanks to our volunteers, and all the teachers, parents, and students that came out to celebrate with us.